Vintage Greetings from Florida Travel Posters and Prints at Ace's Web World. 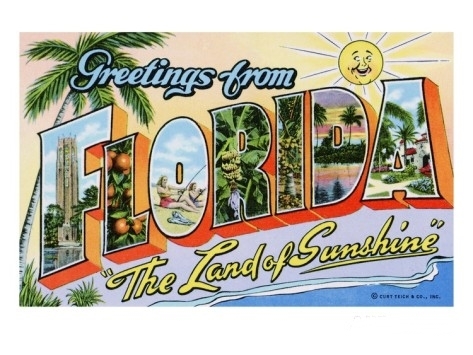 For those interested in Travel Posters, check out our Florida and Vintage Florida Poster pages. Featured on this page are images of vintage vacation postcards from a variety of Florida cities and sites, among them are Miami, Miami Beach, Palm Beach, Tampa, St. Petersburg, Orlando, Pensacola, Ft. Myers, Panama City, Key West, Bok Tower, Tallahassee, Jacksonville, Ft. Lauderdale, Boca and many more.